It was with some interest that I downloaded Daisy Christodoulou’s new book Seven Myths about Education. I have been keeping an eye on her work and that at the Curriculum Centre in recent months, not least because the philosophy advocated by the Centre is essentially the same as that with which we have been operating on the Cambridge History PGCE over the last fifteen years. Our struggle, and that of many other history teachers in the UK, has been to ensure that rigorous, knowledge-rich history is taught in as many schools as possible. The target of Daisy’s criticism, those teachers and other educationalists who advocate a ‘skills-based’ or ‘competence-based’ curriculum, are hardly a straw man of her invention; I have heard numerous people (though more outside my subject than within it) who have advocated such an approach and I, like many others, have been challenging these arguments for some years. It is, therefore, good to see this relatively new voice being added in support of our cause. Let’s begin by identifying the many strengths of the book. For starters, Daisy wisely decided not to follow the route that some take by claiming that there was once an educational golden age to which we all now need to return. I also want to commend Daisy for noting that structures in education, whilst important, are not the most important factor affecting the education of a pupil: it is teachers and what they teach that matter. Policy makers like playing with structures because, frankly, it is easier to do: Michael Gove has made radical changes to the way that schools are structured in England, but these changes pale into obscurity when compared to the challenge of raising the standard of classroom teaching everywhere. ‘I want,’ Daisy argued, ‘to shift the focus back to what actually happens in the classroom.’ I could not agree with this more. As I heard Daisy say at the Westminster Education Forum, writing a new curriculum is only the beginning and the greater challenge lies in implementation. Anyone can write a knowledge-rich curriculum; finding ways to ensure that all pupils learn the knowledge it sets out is a far greater challenge and I am looking forward to hearing more from the Curriculum Centre, and from Daisy, on their work on this, particularly because it might add something to the growing literature that we have in the history education community on how pupils’ historical knowledge can be improved. I was particularly pleased to see Daisy repeating a critique that has often been made of so called ‘competence-based curricula’, with the RSA’s Opening Minds curriculum being the most famous. Andrew Wrenn’s 2009 article (History’s secret weapon: the enquiry of a disciplined mind) was highly critical of Opening Minds and similar attempts to structure the curriculum around generic competencies, such as the Personal Learning Thinking Skills (PLTS) model. In making this case he drew on Michael Young’s 2008 book Bringing Knowledge Back In which argued that academic disciplines need to be the basis of a school curriculum rather than ‘generic skills’. Over a decade ago, Christine Counsell showed the problems inherent in a skills-based curriculum in her book chapter Historical Knowledge and Historical Skills: a distracting dichotomy. Counsell argued that content is vital in its own right and that its systematic teaching is essential if all pupils are to have an adequate ‘frame of reference’ with which to make swift meaning out of other content, texts or ideas. In 2002, Kate Hammond, another history teacher, argued that pupils cannot debate, argue or enquire in history without substantial knowledge in their heads and at their fingertips. Factual knowledge matters enormously and I think it is quite right that pupils should learn (in the case of history) a broad chronological overview of the known past, which does mean knowing about dates, political leaders, protest groups, works of literature and so on. As an editor of the journal Teaching History I see a number of article submissions each year from teachers trying to achieve just that. Ofsted (though do see my comments below) found in their 2011 report History for All that ‘the subject knowledge of the specialist history teachers in the secondary schools visited was almost always good, often it was outstanding and, occasionally, it was encyclopaedic. Inspectors found so much good and outstanding teaching because the teachers knew their subject well.’ Excellent teaching is the product of strong subject knowledge and rigorous subject-specific teacher training. I rather hope that Daisy can, at least in the case of history, feel confident that there are many history teachers out there whose vision she shares. Similarly, I was pleased to see a challenge to the argument that the arrival of Google and its ilk fundamentally changes the scene in education. This is something that we in the history community have been harping on about for a while. Ben Walsh, over the last ten years, has made a pretty good case for not allowing technology to become an end in itself, but rather a means to an end. Twenty-first century technology is useful if, and only if, it helps students learn history. If the same end can be achieved without technology, then it would not seem sensible to spend large amounts of money buying it. Daisy’s point, however, is more fundamental, challenging the argument that quick access to facts via the internet means there is no need for memorising factual detail. I think Daisy is absolutely right to challenge that view. There is, first of all, the strong argument that knowledge is productive: learning new factual detail makes it easier to learn later factual detail, and understanding (whatever that might mean) emerges from knowledge. All of these terms, of course, need unpacking in far greater detail for this argument to be meaningful and Daisy probably did not have the space available to go into any great depth on this, but I think the gist of her argument is right. As ever, the debate about ‘knowledge’, ‘skills’ and ‘understanding’ is incessantly marred by the sloppy use of those terms and it would be good to see a more sophisticated and developed account of what Daisy means by ‘knowledge’. 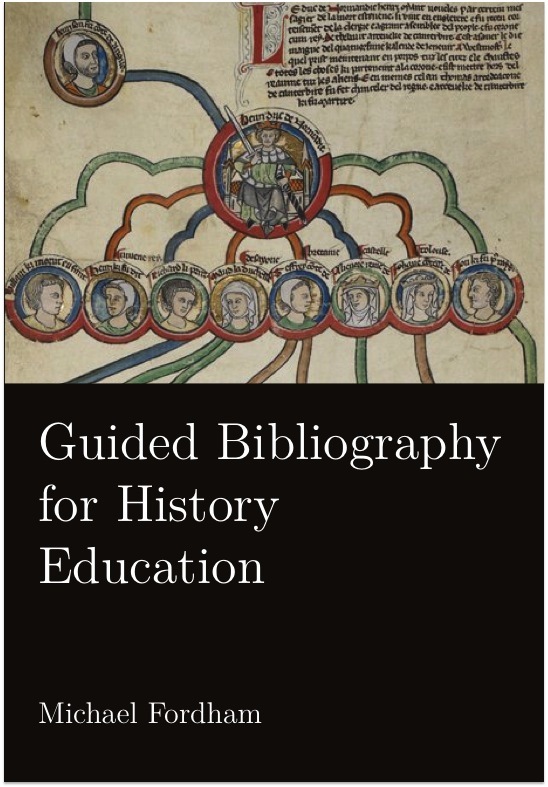 I do, therefore, agree with many of the points Daisy makes and it is pleasing to see that she and the Curriculum Centre will be working in future months and years to support the work of the many history teachers out there who support a knowledge-rich curriculum. Despite this general agreement, there are a number of issues which rather place a limit on the power of what Daisy was trying to say. She did, unfortunately, let herself down with her methodology, claiming that Ofsted reports are a reliable description of normal classroom practice; this is contentious for reasons I have no time here to recount. This is not to say that that such reports are not informative — they certainly are — but Daisy’s claim that they provide a reliable and unproblematic account of pedagogy would stand up neither to the scrutiny of a masters thesis supervisor nor to academic peer review. I am, perhaps, being a little harsh: Daisy’s book is neither a thesis nor a work of scholarship and it would be unfair to judge it by those standards. I also think that Daisy, and in this she is not alone, has, at least where history is concerned, rather misunderstood the 2008 National Curriculum, though rather than labour that here I think I shall reserve my comments on that for a future blog post. This does, of course, raise a crucial question about just what contribution this book makes. Although Daisy handles the debate in a rather simplistic way, she does have a number of important points which need to be made, and I rather feel that she sold herself short by going for what is essentially the self-publication route. Her book is published by the Curriculum Centre, for whom she works, and I suspect her important message would have gone much further and had greater impact had she published her book through a mainstream publisher. Works of lesser quality have most certainly been published and I do not doubt for a moment that she would have found a willing taker, particularly given the current relevance of the debate, and an astute editor would have helped strengthen the argument Daisy makes. Independent, academic peer review, before publication, might also have pointed to ways in which she could have reflected on limitations in her methodology as well as suggesting illuminating connections with other relevant debates, such as those surrounding disciplinarity or social realism. More worrying for her, however, is that she risks being seen as simply a mouthpiece of Michael Gove, who has gone out of his way to praise her and the work of the Curriculum Centre. The Curriculum Centre is, after all, very closely linked with the Department for Education. Leaving aside different opinions about Michael Gove, he will not be education secretary forever and the Conservatives will at some point be out of power, but the arguments Daisy advances need to outlive politics. For all of these reasons, a mainstream publisher would perhaps have been a better option. Maybe, however, I am just being a dinosaur: Daisy makes regular use of blogs, Twitter and alike, and I suppose self-publication through Kindle is becoming ever more popular. In this one small way, maybe the twenty-first century does change everything after all.